I graduated from the University of Illinois with a Bachelor’s degree in communication. In my early twenties, I really had no idea what I wanted to do with myself. But life kind of ended up showing me where I needed to go. I started working in event planning and coordination at a local University. It was a good experience but one that did not leave me feeling fulfilled. I ended up leaving that job after four years and spent some time thinking about what I wanted. This resulted in the founding of Woven. What led you to start Woven? Why did you start a business around hair? I really never thought that I’d start a business around hair, as I’ve never really been one to fuss over my own. However, a few months after graduating college, I was diagnosed with stage two breast cancer. I was 22 and cancer very quickly disrupted my life in a big way. I had an aggressive tumor, so I started chemo about a week after my diagnosis. I spent essentially all of the next two weeks, before my hair began to fall out, scouring the city for a decent looking and affordable wig. At the time, I was working a customer facing job and really didn’t feel comfortable sharing my bald head with every person I interacted with. I wasn’t ready for the questions because I didn’t have the answers. My life was literally hanging in limbo and being at work made me feel more normal, as if my life wasn’t falling apart. Therefore, having a wig that even remotely resembled my natural hair meant everything to me. It meant that I could go out in public and not deal with people staring, pitying me, treating me differently. And if I chose to go without my wig at anytime, and be fearless, well, then that would be my choice when I was ready for it. But securing a wig for myself was much, much harder than I imagined it would be. I spent so much of my time and energy running around, turning over every rock in my search for a suitable wig. The hospital provided me with pastel pink sheet of paper that had a very long list of places that I could try. I called most of the places, and about half of them were defunct. So I tried every avenue I could, from the free synthetic wigs donated by various organizations around the city to professional local wig manufacturers that offered customized high quality human hair wigs. Either I could get a steel grey, synthetic, short, itchy wig for free OR pay $4000 or more for a very nice, custom wig. I was baffled. I couldn’t fathom how these could be my only options. I ended up going to a local beauty supply store with my dad and he helped me pay for a partially synthetic wig that I thought looked nice enough. It was $450. Despite all the well-meaning cancer-awareness campaigns and support initiatives that I had seen throughout my life, I realized through my experience that there was little help to be found on the issue of hair in particular...even from one of the best hospitals in the world. When I inevitably began talking to women that I’d meet in the hospital waiting rooms and support groups, I realized that I wasn’t alone in this. Other women were going without support and resources as well. These women, young and old, would spend so much mental energy, and money if they could afford it, and couldn’t find a solution that made them feel any sort of normal. We’d talk about our regular battles with our insurance companies, who would give us a professionally orchestrated run around and do their best to tire us out so that we would stop calling. Do not get me wrong, I have endless gratitude for the organizations that provide free wigs. I know that they serve a demographic of women who are important. But it’s not enough; it’s so, so far from enough. What steps did you take to start an ethical hair brand? How did you learn about this industry? My first introduction to the hair industry was in college, when I would occasionally wear extensions for fun but also as a protective style for my own hair. I bought hair from beauty supply stores and online, and it would almost always be marketed as virgin/remy hair (meaning that the hair has not been processed/colored and that all the strands fall naturally in the same direction, making for a long-lasting high quality product). But these hair companies were selling something very different and I ended up wasting more money than I would like to admit on hair that was masked to look great initially but was in fact very low quality. Many years ago, when hair extension popularity started increasing, they began to realize they could lie about the quality of their hair and completely get away with it. While poor quality, this hair typically looks shiny, soft and thick from end-to-end upon purchasing it. However, the first time it’s washed, the hair begins to turn into a stringy, brittle, tangled mess. 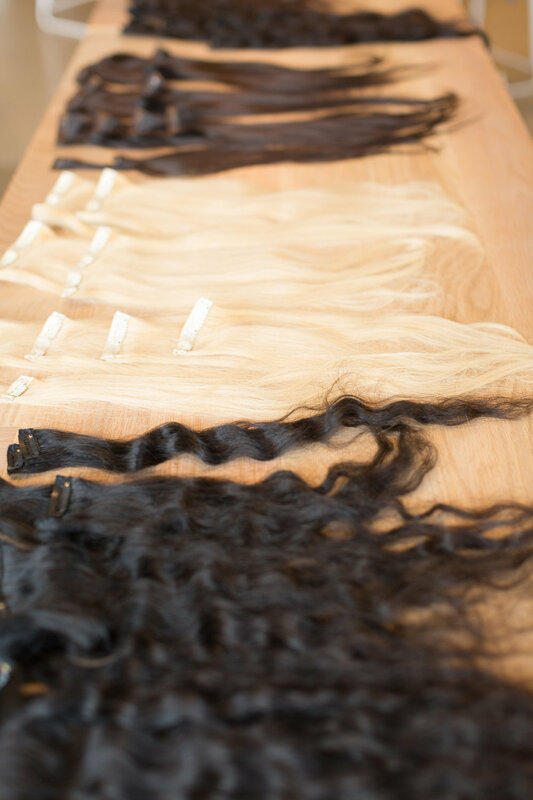 Customers believe they’re receiving unadulterated virgin or remy human hair, when in reality, what they actually purchased is often ‘fallen’ human hair. This is hair that’s pulled out of brushes, or swept off of salon floors, manufactured and heavily processed in Chinese factories, combined with synthetic fibers and coated with plastics. The human hair industry is like the wild west. It is opaque and secretive with a complete lack of regulation. Nowadays, pretty much every other industry has regulations, and fairly severe repercussions for false advertising. But with hair there is essentially no standard of quality. There are countless numbers of these companies distributing this hair online and in beauty supply shops around the world. This problem is so out of control now, and companies have done such a good job at hiding their deception, that most consumers of human hair essentially accept the status quo. Some consumers have started to catch on, but there’s no one to take their complaints to, there is no regulatory counsel, no administration, so often consumers decide to just try a different brand the next time, not knowing that so many of them are all playing the exact same game. Before starting a business ever crossed my mind, I happened to travel to India with a friend and gained more exposure to the human hair trade. When I returned home, I began to think about the idea more and realized it wasn’t impossible. All of this was on top of my personal experience with hair loss during chemotherapy. I also wanted to do everything I could to be certain that the hair I was selling was not in some way hurting people somewhere along its journey. So I decided to go back to India, alone this time, and get to the bottom of what’s really going on in the industry. I purposely left my expectations in Chicago, but fortunately I found that the year of research I’d done on the human hair trade had allowed me to find a number of partners that were ideologically aligned with Woven. When I returned home with the information I’d collected, I decided to put everything I had, financially, emotionally and energetically, into building what is now Woven. And we have a lot more work to do, of course. How do you source your hair and what is the process in making your products? Each and every set of Woven hair is sourced from several temples in Southern India through our trusted partners in Tirumala, who participate in regular auction processes organized by the temples. I’ve personally visited the temples to educate myself on the process and also regularly audit our partners to ensure ethical sourcing practices and high-quality hair. Could you tell us more about your production of wigs funded by portions of each purchase? I sometimes say that our goal is to be like the TOMS of hair, so a percentage of Woven’s profit is used to supply hair to women who need it. Thus far, we’ve provided hair to two individuals who are in the beginning stages of hair regrowth and we grow we hope to be able to provide even more support this year. As someone who has dealt with hair loss, why is it important to you to empower other women through hair? What makes you passionate about the work that you do? Small things, like going to the grocery store bald, were daunting for me. It would sometimes take me hours to just to work up the courage to make the choice to leave the house without a wig. I realize that many amazing women don’t feel this way at all, but many amazing women do. The most important factor is that women have the choice. The only reason that I am here and able to build something that helps support other women is because of the women who have inspired my decision to do this. So many of the women I’ve talked to over the years have led me to realize that this issue is way way bigger than it should be. Sometimes it can be difficult to communicate to people the importance of hair. But women who have experienced hair loss or know someone who has, even some who don’t, have a much different perspective of what it means to lose your hair. I know that many women with hair loss feel ashamed, both because of their appearance, but also because in the medical community, it is very commonly regarded as purely an aesthetic issue, a cosmetic nuisance if you will. Woven does not stand for that because it simply is not true. Losing your hair can feel like losing an appendage. It is a natural crown that we wear, and often use to express ourselves. It is a very big part of our femininity. Whether it is long or short, in most cases the way our hair appears, aside from the occasional bad hair day, is intentional and pretty much exactly how we want people to see us. Losing your hair can leave you feeling overcome with anxiety, and when dealing with something so physically apparent, having a wig you can choose to wear when you need or want to, you can at least move through the world and feel like you’ve got that under control. When it comes down to it, self-esteem is directly correlated with mental wellbeing, and that absolutely factors into your recovery. It is my most sincere hope that cranial prosthetics will eventually be completely covered by insurance, regardless of condition or illness. What is Head to Head and what was your involvement with the project? Amelia Street Studio is a branding company, founded by three talented sisters. They’re focus is on design, websites, video and messaging specifically for female identifying business owners. I met Katie from Amelia Street Studios before my business was completely conceptualized. I hired them to help me with Woven branding and we immediately connected on many levels. They were particularly supportive and related with my mission on a personal level. They decided it would be interesting to film a documentary around the effects hair loss has on women, the human hair industry, how hair is sourced, who donates it, where it goes, how it gets there and who ends up receiving it. I mentioned to Amelia Street that I was taking another trip to India, so this time they decided to come along for what ended up being quite a ride! While we prepared heavily, we did a lot by the seat of our pants. Thankfully everything went very well, and we all only got slightly sick haha. In India we interviewed a lot of wonderful people, from individuals who have chosen to donate their hair, to the people who manufacture the donated hair, to those to distribute it. When we returned to the States, Amelia street went on to interview more than 25 women with various conditions that cause hair loss, from lupus, to alopecia, to chemotherapy. They’ve interviewed doctors, wig specialists, patient coordinators, and created a beautiful, symphony of stories that come together to tell a much bigger one. Head to Head is currently in post-production phase. What are some of the setbacks or challenges you face with Woven? Ha, how much time do you have? My setbacks are mostly due to the fact that I’m doing this solo. Time management and balancing responsibilities is a definite challenge. My biggest challenge however is dealing with the fact that honesty is missing from this Industry. It’s something that I wanted from the market but didn't exist, so I want to build it. Going up against these dishonest hair companies isn’t easy. Consumers are skeptical, as they should be, but getting customers to trust us initially, is really difficult. Because I don’t want to be a part of the shady side of the hair industry, I go to great lengths to be transparent in what we do, fully living up to our company’s mission and values. Woven is a small company so we may not be changing the world, but we’re slowly but surely helping to change people’s standards and their perceptions of what is possible, We want to educate women and be catalyst for change in this industry, and believe in doing things ethically, consciously and with love. Starting Woven was a very risky move, full of unpredictability, uncertainty and lots of room for failure. I have in the last few years, received an unbelievable amount of support from women I’ve known a very long time, women I’ve known for a short time and women I’ve never even met. In particular I have worked closely with Amelia street studios, and they have had my back since day one. Samantha Lee co-founder of Hopewell Brewery has been a massive support. Brand photographer Jennifer Kathryn has gone out of her way to support my mission in many ways. My mother and my grandmother were incredibly strong women. They both had cancer three times, and every time until the very end, they fought extremely hard and persevered with grace and dignity. It’s their strength that drives my passion and motivation to succeed. You won't always know how to do everything, but you can teach yourself almost anything. I learned to not to be so overwhelmed by what I don’t know. As an entrepreneur, you kind of have to get over that real quick. I had no idea what I was doing when I started, or if it would work, if anyone would care, or understand what I’m trying to do. I knew very little about finance, and web design, legal, and so on, but... I learned what I needed to learn. That meant that creating things took a little bit longer than expected, but I’ve developed more valuable skills in the last few years than I ever thought I would have, and I wouldn’t give that up for anything. I also learned to accept things that I’m not great at and to be strategic when it comes to what I spend my time on vs. asking for help. That's something that’s hard for me as I’ve never liked asking for help, but it’s clearly very worth it! I use Unsplash when I need good and free high resolution photos. 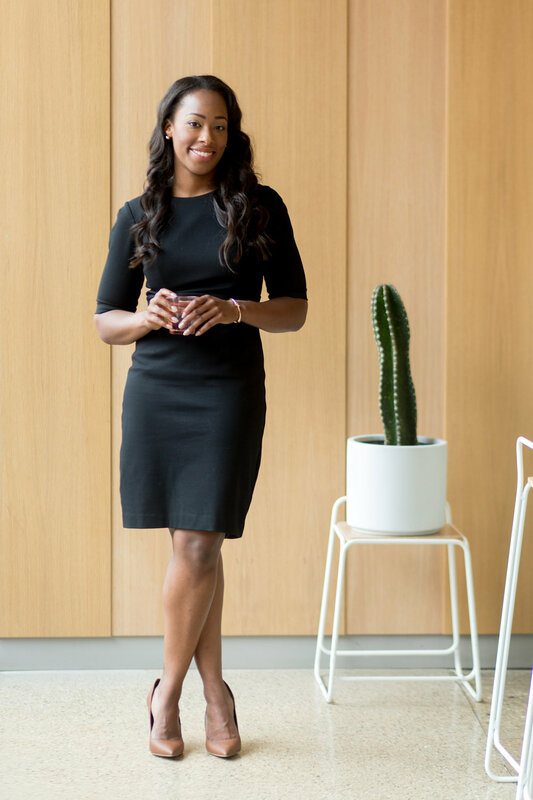 If you’re in Chicago and just getting started with an idea and need help moving forward with a plan, I recommend WBDC, the Women’s Business Development Center. Also, SCORE for free, no strings attached business mentoring. Shout out to Bob Brodsky who was a wonderful mentor to me for over 2 years. I’ve been learning to release myself from comparison for a while now. It’s easy to question yourself and your decisions when you see your peers seemingly comfortable in more traditional and secure careers paths. But I know all too well that 1. The grass truly is always greener and 2. That comparison is the thief of joy. I’m a firm believer of following my intuition. The more I do, the louder it speaks, and so far it’s only led me exactly where I needed to go. I try to spend less time worrying about what people think. I’m a bit of a perfectionist so, I’m learning to take myself less seriously and to accept flaws in things I produce. Nature is full of imperfection. Reminding myself of that is extremely refreshing, so I try to harness and emulate nature as much as possible. I love the Logan Square Farmers Market, mostly for the pups. I live next to the 606 so I really enjoy spending time up there. I have plans to meet with some wig manufacturers in India later this year, It’s been over a year since I’ve been back so I’m excited about that. I’ve just started to teach yoga, and that’s been really fun. My larger ambition is to open a spiritual wellness center for women. Open to all non-binary women and men, but with an emphasis on women, focusing on physical, mental and emotional health, healing and recovery of all types. I am a big proponent of plant medicine and healing techniques, and I’d like to bring together practitioners of Chinese medicine, reiki masters, licensed massage therapists, shamans, trauma-informed yogi’s and meditation instructors and wig/hair loss specialists & hair stylists to create an inclusive, supportive environment for women living in our beautiful but trying urban society.